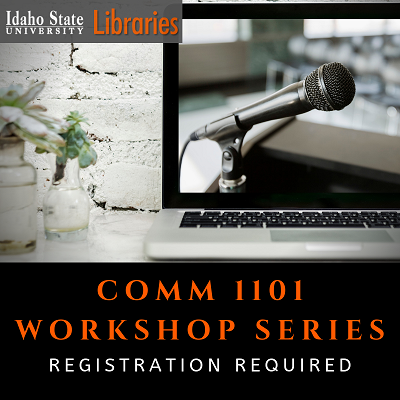 ISU Libraries is excited to announce the upcoming dates for the Spring 2019 COMM 1101 Workshop Series. Find out more and register at COMM 1101 Workshops. If you have questions or concerns, please feel free to email us at libinst@isu.edu.